More than two billion people in the world do not get enough essential vitamins and minerals in their daily diets. Those suffering from this invisible form of undernutrition are vulnerable to blindness, impaired physical and cognitive development, disease and even death. The impact of this lost potential is staggering; annual GDP losses from low weight, poor child growth and micronutrient deficiencies. Prof. Charles Spillane, Director of the Ryan Institute at the National University of Ireland Galway (NUI Galway) highlighted that “vitamin A deficiency is one of the world’s major nutritional deficiencies, affecting 190 million children. Biofortification is a food-based approach to combat micronutrient malnutrition through plant breeding of staple crops so that they have higher levels of micronutrients (e.g., iron, zinc, beta-carotene)”. The Plant & AgriBiosciences Research Centre (PABC) within the Ryan Institute at NUI Galway works extensively on agricultural research for international development with the CGIAR—a global research partnership for a food-secure future. Over the past four years, NUI Galway PhD student Marijke Hummel has been working on a project in the research group of Prof. Charles Spillane, working with collaborators in Malawi to improve the impact on nutrition of biofortified crops (e.g. high iron beans and high vitamin A sweetpotato). The NUI Galway research group has been working with international research partners from the HarvestPlus Programme, the International Potato Center (CIP), International Center for Tropical Agriculture (CIAT) and Wageningen University (WUR). 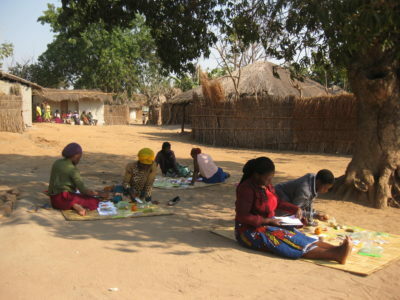 Figure 1: Rural women study participants from the traditional authority Katuli in Malawi, engaging in one of the fieldwork research exercises. Women were asked to group different types of foods that are part of their household diets (Photo: Marijke Hummel). Marijke Hummel indicated that “sweetpotato is one of world’s most important crops for food and nutrition security, particularly in Sub-Saharan Africa. Most of the varieties of sweetpotato currently grown and consumed in Sub-Saharan Africa are white- or yellow-fleshed, and contain little beta-carotene. In recent years, breeding programs have developed improved biofortified orange-fleshed sweetpotato (OFSP) varieties that are a good source of beta-carotene, a precursor of vitamin A”. The first OFSP variety Zondeni was locally available in farmers’ fields and officially recognized in Malawi in 2008, followed by an additional five varieties that were released in 2011 through a crop breeding program. The OFSP varieties have different visual characteristics and taste than the pre-existing varieties of sweetpotato used by farmers. By combining an integrated model of the Theory of Planned Behavior (TPB) and the Health Belief Model (HBM) the research team conducted research with over 300 households in Central and Southern Malawi, and demonstrated that both sensory and cultural attributes influence the acceptability of OFSP varieties and OFSP consumption by households of the rural poor in Malawi. Dr. Daniel van Vugt, Country Manager at CIP Malawi stressed that “while CIP and partners have supported 222,000 households in Malawi with disease-free vines of OFSP, no in-depth research on the sensory and cultural acceptability had been conducted in the country before our collaboration with NUI Galway. This work is of huge significance to what we are trying to achieve. Understanding what consumers are looking for is essential to our breeding improvement and outreach work”. Over the last five years, CIP and its partners have helped improve dietary quality and incomes with OFSP of approximately five million households in Africa and Asia, regions whose populations are significantly affected by micronutrient deficiencies. Over the next five years, CIP plans to reach a further 10 million households in Africa, Asia and Latin America and the Caribbean by accelerating the production and use of nutritious sweetpotato, starting with biofortified OFSP, a promising technology for reducing vitamin A deficiency among women and children under five years. In 2016, CIP scientists were awarded the World Food Prize in recognition for their work in this area. The collaborative research led by NUI Galway with CIP has been published in the journal PLOS One. The findings of the research will improve the impact of biofortified crops in future food security programming and projects, by reducing Vitamin A deficiencies through the intake of these nutrient-rich crops. Some of the 300+ rural women participants in Malawi that took part in the NUI Galway-CIP research project, together with field researchers Marijke Hummel and Ati van der Honing (Photo: Marijke Hummel). Figure 2: Women were asked to group foods that are part of their daily household diets. The information provided by the women was used to describe how they normally use orange fleshed sweet potato in their diets (Photo: Marijke Hummel). 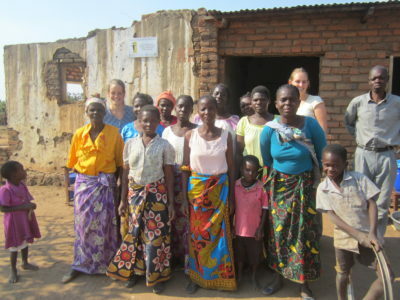 Figure 3: Figure 3: Some of the 300+ rural women participants in Malawi that took part in the NUI Galway-CIP research project, together with field researchers Marijke Hummel and Ati van der Honing (Photo: Marijke Hummel). The research was supported by the United States Agency for International Development (USAID) under the Feed the Future Malawi Improved Seed Systems and Technologies project [grant number AID-BFS-G-11-00002]. Prof. Spillane’s research group acknowledge funding support for the CropBioFort project funded by the Irish Research Council’s New Foundations programme, and acknowledge support from Science Foundation Ireland (SFI) Grant No 13/IA/1820. The National University of Ireland Galway (NUI Galway) was established in the heart of Galway City, on the west coast of Ireland, in 1845. Since then it has advanced knowledge teaching and learning, through research and innovation, and community engagement. NUI Galway’s teaching and research is recognised through its performance in international rankings. The University is one of the few Irish Universities to have risen in the rankings in four of the last five years including the Times Higher Education (THE) World University Rankings and the QS World University Rankings. With an extensive network of industry, community and academic collaborators around the world, NUI Galway researchers are tackling some of the most pressing issues of our times. Internationally renowned Research Institutes and Centers based here include CÚRAM Centre for Research in Medical Devices, Insight Centre for Data Analytics, Whitaker Institute for Innovation and Societal Change, Moore Institute, Institute for Life course and Society and The Ryan Institute for Environment, Marine and Energy. *The University’s official title is National University of Ireland Galway. Please note that the only official abbreviation is NUI Galway. ‘CGIAR’ was originally the acronym for the ‘Consultative Group on International Agricultural Research’. In 2008, CGIAR redefined itself as a global partnership. To reflect this transformation and yet retain its roots, ‘CGIAR’ was retained as a name. CGIAR is now a global research partnership for a food-secure future. CIP’s work in Malawi is funded by Irish Aid, the Africa Development Bank, the European Union, the German Federal Enterprise for International Cooperation (GiZ), the UK Department for International Development and the United States Agency for International Development. Gwen O’Sullivan, Press & Information Executive, NUI Galway at gwen.osullivan@nuigalway.ie or 091 495695.